MENTOR, Ohio — Every day, tons of food goes to waste. Every day, thousands of people in Northeast Ohio go hungry. And every day, dozens of popular restaurants are working behind the scenes to feed the needy. 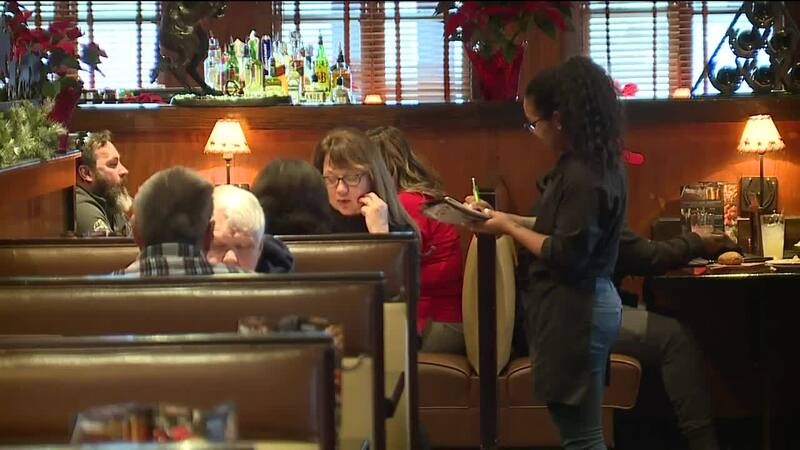 For years, the LongHorn Steakhouse in Mentor has partnered with the Salvation Army in Painesville, which feeds between 60 and 100 people every day. At the end of each day, LongHorn takes whatever surplus food they have, cook it off and freeze it for the Salvation Army to pick up and serve. “It’s good high-quality steaks, chicken, seafood, vegetables, potatoes. Meals that we just don’t want to throw away, we can give to people that need it,” said Matthew Smetana, LongHorn Mentor managing partner. The donated food isn’t leftovers — it’s just food that wasn’t served to guests that day. Smetana said they follow the same exact standards with the food as they when they serve it at the restaurant. Major Robert Bender of the Salvation Army said the donations mean feeding more people than they ever could — and feeding them better food than they could imagine. “I mean even as close as last week, we had steaks, petite filets, baked potatoes, I mean the whole gamut, it was unbelievable,” Bender said. Bender said with their limited budget, the quality food donations help them help those in need. LongHorn is just one of many, many big-name restaurants in Northeast Ohio that partners with local nonprofits to donate surplus food every day instead of tossing it in the trash. It’s called the Harvest Program . A few others include Olive Garden, Panera Bread, Pizza Hut, McDonald’s, Starbucks, The Cheesecake Factory, and Chipotle. Since the inception of the program, Olive Garden restaurants in the Cleveland-area have donated more than 555,800 pounds of surplus food to area nonprofits. Over the last 11 years, Chipotle has donated enough food for more than 7.1 million meals across the United States. In Summit County, the Akron-Canton Regional Food Bank picks up donations from Starbucks every day and KFC regularly. Even Progressive Field donates their extra food during the season, partnering with the Greater Cleveland Food Bank since 2014. Since then, they have donated food for more than 21,500 meals.